Compliance Poster Company understands that labor law compliance for HR posters is a challenging and time consuming effort. Throughout the year, numerous labor law posting changes can occur that need to be addressed in HR compliance posters. CPC has the legal and compliance experts on staff to make sure that you never miss a beat. We specialize in providing comprehensive HR posters that make labor law compliance simple, easy and cost effective. Our experts are constantly working to stay ahead of compliance updates. With CPC as your labor law compliance partner, you will work with a dedicated account manager that will guide you through your compliance requirements, identify areas of non-compliance and recommend update strategies. You will have peace of mind knowing that every detail is covered. We know exactly which HR posters you need, where to put them up, and when to update them. CPC’s market leading HR posters are backed up by our 100% Compliance Guarantee, which includes a $2,000,000 insurance policy; should you receive a fine or a legal judgment as a result of our HR posters, we’ll cover all costs Plus, if for any reason you are not satisfied with one of our products, you may return the product(s) within 30-days of the date you receive your order. Contact our Compliance Team today at 1-800-817-7678 to learn which HR Posters are best suited to meet your labor law compliance needs. Compliance Poster Company offers the highest quality and most accurate HR posters in the industry. 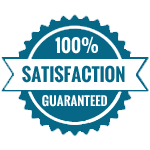 As our valued customer, we are dedicated to ensuring your 100% satisfaction. We understand the challenges you face to run a successful business. Whether you have fallen behind on compliance requirements, are opening new offices, or acquired a company in an unfamiliar industry, our Compliance Team stands at the ready to provide the labor law compliance expertise you need. Contact our Compliance Team today at 1-800-817-7678.